Bow to Carlos Gracie Sr. when you enter the training area. Bow to Carlos Gracie Sr. when you exit the training area. Keep a respectful posture in the training area. Classes begin with a formal bow to the instructor, with students lining up in descending grade order. Classes end with a formal bow to the picture of Grand Master Carlos Gracie Senior, and then to the instructor. All students must line up with the attendance card in hand at the begining of the class. During class, when the instructor is demonstrating the techniques, every student must sit or stand in good posture. If you are late for class sit by the side of the training area and wait for the permission from the Professor. 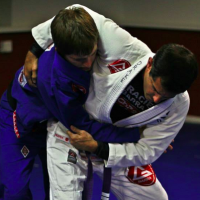 If you need to leave the mat or leave earlier you must ask permission from the Professor. Bow to your partner before and after practice. Talking should be kept to a minimum level and should relate to the class subject. Absolutely no foul language inside the school. Keep fingernails and toenails short for everyone’s safety. 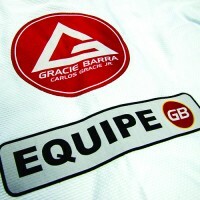 All students, Instructors, Professors, and visitors must wear the official Gracie Barra uniform. The uniform pants and top must be the same color. It is mandatory to wear the official Gracie Barra black rash guard or Gracie Barra training shirt underneath the kimono. It is mandatory to have underwear underneath the gi pants. 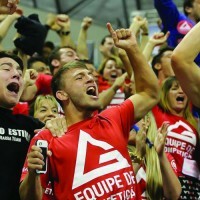 For No-Gi Classes, students must wear Gracie Barra shorts as well as a Gracie Barra ranked Rash Guard or Gracie Barra Gi pants, Graice Barra Rash Guard, and belt. The uniform must be clean at all times. A dirty uniform is a sign of disrespect. The uniform must be worn at all times. When tying the uniform, students must face the edge of the mats. The belt represents your progress. Keep it on. 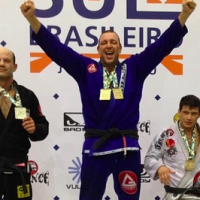 Refer to non Black-Belt instructors as “Coaches”. 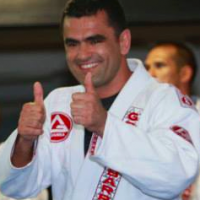 Refer to Black-Belt instructors as “Professors” and to Carlos Gracie Jr. as “Master”. All metal objects, jewelry, piercing, necklaces and other items should be removed. No shoes, food or drink on the mat. No cell phones in the training area. All students and Instructors must wear shoes when walking outside of the training area. The Jiu-Jitsu Gi (uniform) is the formal Japanese name for the traditional uniform used in Jiu-Jitsu practice and competition. It is derived from traditional Japanese clothing. Most likely, the Gracie family developed the original Jiu-Jitsu gi from the traditional kimono and other Japanese garments around the early 1900s. 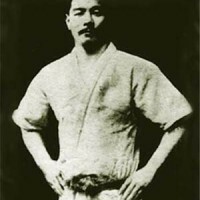 The Jiu-Jitsu/Judo gi was the first modern martial arts training uniform. Over the years, the length of the pants and sleeves grew longer, and changes were made in the material and fit. The traditional unbleached cotton is now bleached white, although blue is available. 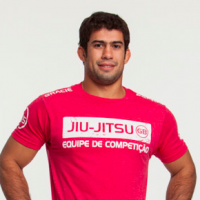 Other martial arts, notably judo and karate, adopted the style of training uniform used in Jiu-Jitsu.